With much love for Gaia, humanity, and the ever-increasing pillars, sparks and stars of Light we see in the heart grid, here’s a reminder for a meditation given by an Agarthan guide, Orana (details in a previous post, if you did not see it). This visualization came with guidance from leonine star family, to particularly focus it on July 25, 26 and the Lion’s Gate period into August. July 25 is the Mayan lunar calendar’s ‘Day out of Time’, the ‘in-between breath’ before the 13 month lunar calendar (364 days) begins on July 26. 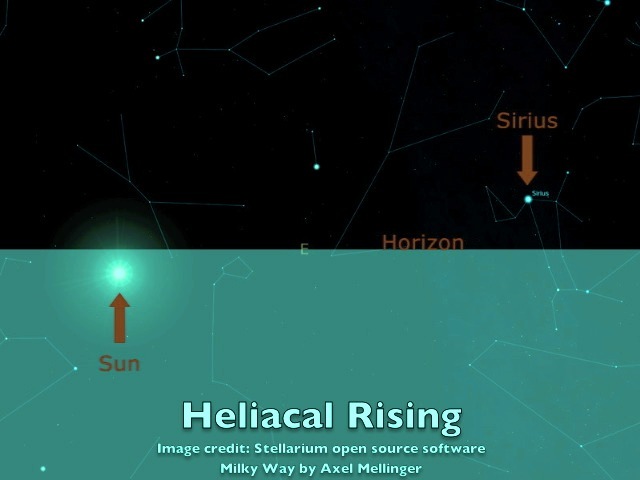 The Lion’s Gate, or heliacal rise of the star Sirius, spans a period of July 26 to August 12, depending on latitude (earlier in the southern hemisphere and later in the northern hemisphere; San Francisco in the USA for instance will see the rise of Sirius on August 7. However, you can use the date of July 26, or if you feel inspired to do so, use this visualization each day throughout the ‘Sirius rising’ period). Working with the energies of these dates, feel deeply into your connection with your Higher Self, your Oversoul, which exists in the light of Source beyond time, extending this light through many dimensions as various soul aspects, of which your current awareness is one aspect. Feel this aspect that is ‘you’ held, anchored and steered within the embrace of your Higher Self, just as all its soul aspects are….One BEing…One Wholeness, expressing, creating, experiencing through myriad aspects in the dance of Life. Feel yourself beloved, cherished unconditionally, feel the ‘your’ melt away from ‘self’ as the light of Higher Self flows gently and continuously, and the ‘you’ becomes ‘I’. Relax deeply into the arms of the One who sees, feels, and knows ‘I’ completely, and feel that ‘I’ connected in harmony with Gaia’s heart, and the deepening 5D grid of Light. Grow in our heart a feeling of cherishing, for the land we stand upon now, love it, wherever we are. Feel it, as a holy place. See now beneath our feet a five-pointed star of white light on the land. Its light shines up around us, bathing us in Mother-Father’s grace……. Note: If/when we feel ready to enhance this meditation, after visualizing the six-pointed star of Golden Light beneath our feet, we see the two triangles that form the star begin to rotate, in opposite directions – one turns from left to right and one turns from right to left. We see these two merged triangles spin almost to lightspeed, and the golden rainbow light funneling down through a central golden cylinder below the star, to Earth’s Core. This is an amplifying technique given by star family. See this ‘device’ as merkaba in full mergence, the double spin is oneness; there is no bottom, and no top, no down or up; male and female have no separated state, merged as One. Hence this device appears as a ‘flattened’ star in our viewing, because it is ‘dimensionless’, or beyond dimension, to our understanding; pure magnetic construct. 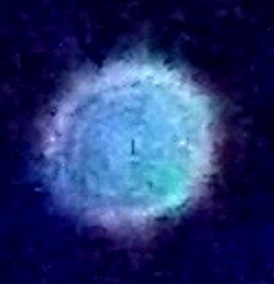 Sirian Orb with central portal/gate; photo taken July 26, 2013. 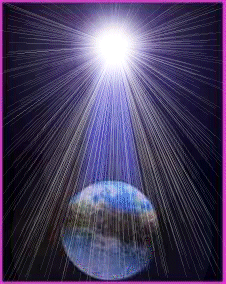 This entry was posted in Agarthans, Ascension, Dimensions, Orbs, Sacred Geometry & Math, Sirians by Joanna. Bookmark the permalink.